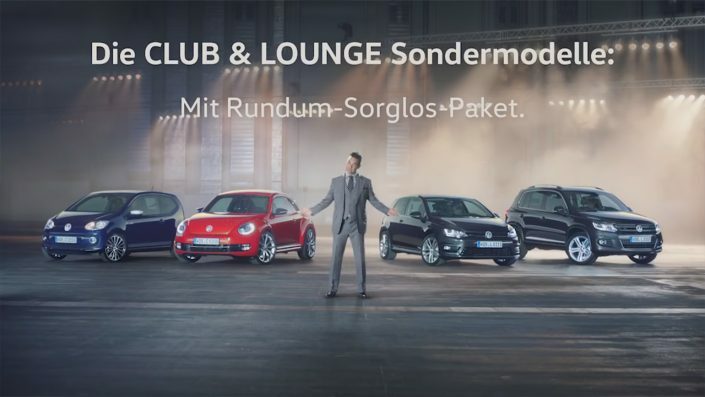 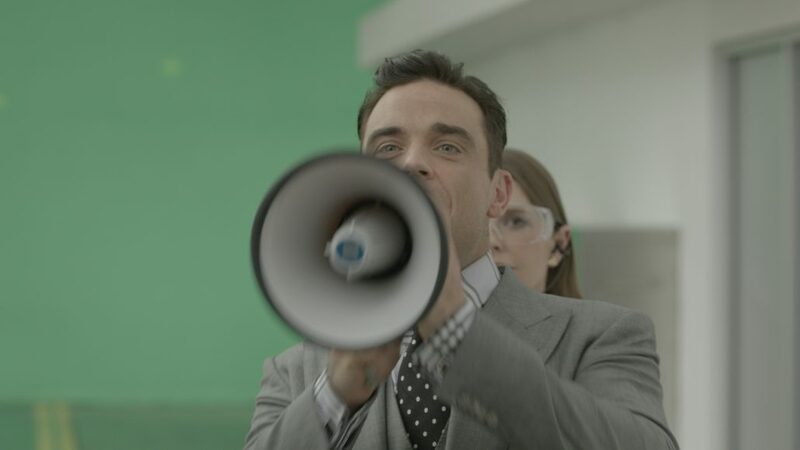 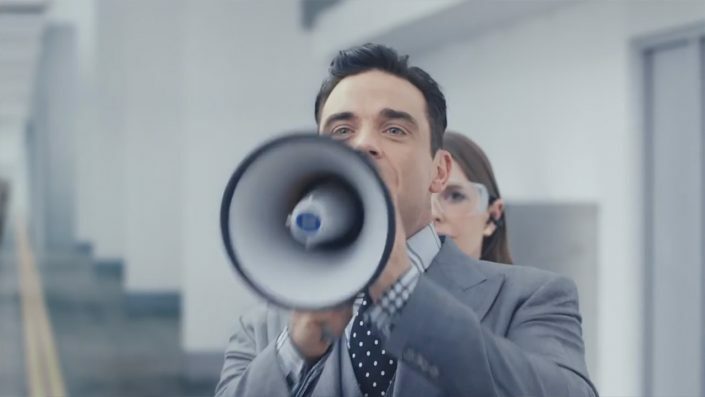 Volkswagen continues the “Club & Lounge” campaign with Robbie Williams. 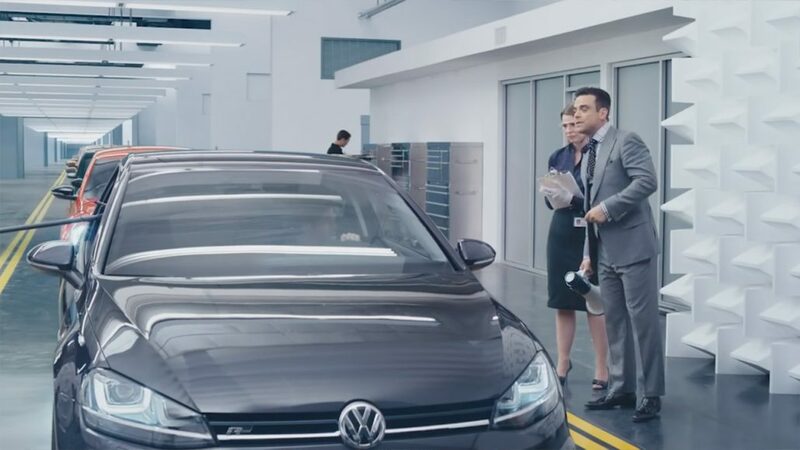 This time he is annoying Yvonne Catterfeld with his endless “soundchecks” to test the sound systems in every special edition Volkswagen. 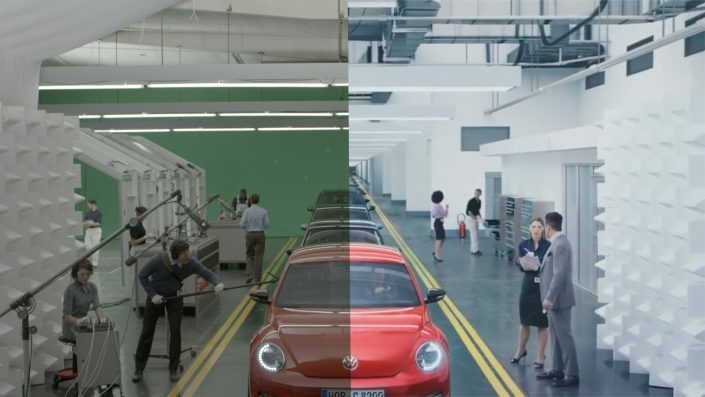 GiantMilkCan extended the sets and line of vehicles in nearly every shot.